This page is about Alltel cell phone service. It has not been created to rant and rave, or to tell the world how angry we are with Alltel. You'll find plenty of that and plenty of dissatisfied customers if you do a search on the Internet. But rather, this is a careful and objective look at the problems we've experienced. It's also a measured look at a corporate culture, becoming all too common these days, that cares little for their customers. Part of our purpose is to alert prospective Alltel customers to serious problems that company has with a segment of their wireless system. Specifically, we found that both the "Pay-by-day" and "Pay-by-minute" plans are, for all practical purposes, non-functional once you are outside your local calling area. You may not know that your service won't work or works poorly until long after signing up for one of Alltel's plans. By then it's too late. We have found that Alltel simply will not provide refunds or make good on service, no matter how flagrantly dysfunctional the service has been. We don't think this is right. It may not be against the law, but it's certainly not ethical, and it's certainly not in keeping with the ideals of American democracy. And right along with those ideals, we'd like to see if we can use a little good ole American know-how and perhaps change the way Alltel treats its customers. At the very least, we'd like to send message to Alltel and companies like them. It quite a simple message: value your customers and treat them fairly. We can't do this alone, and we encourage you to join us. There is strength in numbers. Drop us a line (support@grc101.com) if you've experienced similar problems. We are particularly interested in your problems with "Pay-by-day" and "Pay-by-minute" plans. Several Alltel customers have written us, and we are just beginning to establish a nation-wide pattern of problems with these plans, but we need more information. If you have experience similar problems, tell us about it. Below, we included some ideas how you can help. In particular, we have included information on how you can file complaints with government officials and with the company. It's a start -- and it will make you feel better. But we also hope to hear from you and gather ideas. If we can bring together enough people or just the right combination of people, we think we can make a difference. So drop us a line and we'll keep in touch. 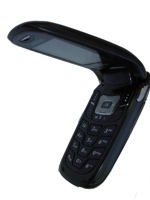 On January 9, 2007, we purchased an Alltel Phone and Alltel's wireless "Pay-per-day" plan for a total of $79.90. Dozens of attempts to make calls were unsuccessful because of what was described to us by one Alltel customer service representative as "bugs in the Alltel system." After a month, we decided to make one more attempt, and purchased an additional $20 of Alltel's "Pay-per-minute" plan. Our experience was even worse this time. At most, we only able to connect twice. Alltel's service was an utter and complete failure. To put it simply, we did not receive the service for which we had paid. Not once but twice. We explained the problem to three Alltel sources: 1) customer phone service, 2) the local store manager, and 3) via written documentation through Alltel's email support department. In all cases, we were told that they could not authorize a refund. Whenever we would try to dial a number, we would get one of two messages. The most common message was: "You are not authorized to make calls to this number." We called Alltel customer support on more than one occasion and we were told to immediately re-dial the number and the message would disappear. That did not happen. We continued getting the message. We simply could not get through to the numbers we were calling. No matter what number we would call, we would get this message. We were not calling from any unusual areas. For nearly two hours one day, I tried calling from the Boise, Idaho airport and received an endless series of these messages. A couple of weeks earlier, my wife also tried calling from the Boise airport and was faced with the same problem. I tried again at Seattle, WA airport and received the same message again and again. Both Boise and Seattle are in areas covered by Alltel. "Please enter 1 plus the 10 digit number followed by the number sign." We would follow the directions, entering a 1, the 10-digit number and the number sign. The call would not go through and the same message would be repeated. And it would be repeated again and again. This message would even appear when using the internal numbers programmed into our phone for reaching Alltel customer support. Moreover, it would even trigger when trying to reach Alltel to pay for service. We also could not reach our voice mail. The same message would be triggered even though our phone was showing that voice mail messages were present. Now and then, but on a less frequent basis, I would get a busy signal from the number I was calling. In one case, I was calling our home phone (a landline). I took this as a good sign, that perhaps I might have gotten through. But after calling several times over a period of an hour, I began to get suspicious that something wasn’t right. So, I used a pay phone and called home. I learned from Kathy, my wife, that the phone had not been busy. So, once again, it confirmed to me that Alltel service was at fault. Additionally, I was able to discover another problem with Alltel’s system. I learned this by using a pay phone and calling home. I found that a couple of my calls made from our Alltel wireless phone, had actually rung our landline home phone number. When my wife had picked up the phone, there was silence. She kept on saying hello, but while she was saying hello, I was hearing nothing. In fact, as I have re-constructed things later, I was actually hearing the “You are not authorized to make calls to this number” message. But my wife was hearing only silence. I could not hear her. She could not hear me. This same problem was also confirmed when my wife was using the Alltel wireless phone on earlier trip. In other words, this wasn’t an isolated incidence. We did manage, by some great luck, to get through to a couple of numbers we were calling, but it only happened a couple of times, and it took a great amount of work. At this point the question arises whether my wife and I have any understanding of technology. But I can assure you that I understand technology quite well. I’m a computer programmer and a university professor and work with technology on a day-to-day basis. Additionally, I spent time a considerable amount of time reading the phone manual, talking with Alltel customer support and really giving Alltel the benefit of the doubt. I really went out of my way to make sure I knew how the phone worked and consulted customer support when things didn't work right. But none of that helped. 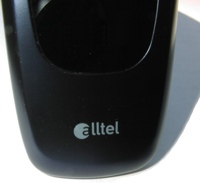 We tried very hard to make the Alltel service work, but for us, it has been an utter and complete failure. Here's what we did, and if you've had problems with Alltel, we recommend that you do as well. 3. We filed a complaint with our regional Better Business Bureau. You'll have one near you. Just do a search on the Internet. Here's our complaint: More information. Suggestions on Filing a Complaint. First cool down. You're angry. You've been cheated, and it's natural to want to lash out. But angry words will get you no where. Anybody reading it will immediately place less reliance your complaint. The best procedure is to put together an objective summary of what went wrong. Be polite. You'll be using the same technique that Alltel uses on you. Their customer service personnel are trained to be exceedingly polite, even while not helping you. Use the same technique on them. Be exceedingly polite, but make it clear that Alltel is in the wrong here and the company did not live up to their promises. We've included copies of our complaint. You're welcome to use ideas from ours. Your complaint doesn't need to be that extensive. Short and to the point works as well as long complaints. Don't Forget to File Your Complaint. If you do nothing else, please take the time to file a complaint. The FCC complaint is very easy to file. It's just a matter of filing out an on-line form. Most Better Business Bureaus now have on-line forms. Does filing a complaint help? Sure it does. Corporations like Alltel don't live in a vacuum. Nor do politicans, the media or regulatory agencies. At some point, someone is going to listen. Your complaint might be the one that finally tips the balance. Drop Us a Line. We'd love to hear from you if you've experience problems. You may have other ideas on how to get to word about Alltel's buggy system and poor customer service and we'll pass them on to others. It's very easy these days for companies like Alltel to disregard legitimate customer complaints. We found that no one in customer support has the authority to make refund decisions -- or, in other words, no one has the authority to take the appropriate course of action when a service isn't provided. In the case of email support, we even asked to talk to the customer support "manager." No luck there. That means from our experience, no one can really help you. It's just your tough luck if you pay for service which is not delivered. This goes against all principles of good and ethical business practices. I have owned both a retail store and software development company, and I always provided a refund if for some reason the customer had a problem with a product or service. Here's another technique that we ran into with Alltel's email support. When you describe a problem, they'll respond and along with the response, the following statement will be included: "We will assume your issue has been resolved if we do not hear from you within 72 hours." If it's not resolved, you need to write them back -- and you'll find yourself writing back again and again and again because you don't want them to think that the problem has been resolved. It hasn't. If you have situation like ours, it won't be resolved because no with which you communicate with has the authority. We had about five of these emails back and forth, and I finally ended by saying: "Please indicate in your report that the matter was not resolved. I know we will receive the message: 'We will assume your issue has been resolved if we do not hear from you within 72 hours.' This is an automatic, computer generated message, and it will not apply to us, for the issue remains unresolved. It's quite obvious that the issue can not be resolved at this level." I don't blame the low-paying Alltel customer support folks. They're just trying to earn a living. They, unfortunately, have to take the brunt of customer complaints because of the failures of management far above them. This is not a customer service personnel problem, but rather it's a problem with Alltel's high-paying supervisors and managers. What this exercise has to shown to us is that much of Alltel's system has serious problems. The phone service was dysfunctional and didn't work. We couldn't get reliable help through customer phone support. And when we reported the problem in writing, it took 23 days just to get a response. You might call this a system problem, and it certainly is. But behind that system are supervisors and administrators who are responsible and who frankly haven't done their job. Anyone with a modicum of sense could tell from our original correspondence that we did not receive the service for which we had paid. Not once but twice. And anyone with a modicum of business sense would have immediately provided us with a refund -- or, at least, provided us with service that actually worked. We would have been happy with just having service that really worked, but the Alltel system is so dysfunctional that neither were provided. If you've had problems with Alltel's system, let us know. Also, we'd love to hear your ideas on how we can get Alltel to be more responsive to their customers. Drop us a line at support@grc101.com and we'll share Alltel stories on this website with others. TALLAHASSEE - "Attorney General Charlie Crist [Crist is now the governor of Florida] today sued one of the nation’s largest wireless companies, alleging that Alltel Communications, Inc., automatically enrolled thousands of customers for a free trial of a roadside assistance program without disclosing terms of the program at the time of activation and billing customers without their specific consent."